Announced on the Facebook Newsroom earlier today, the social network is launching a redesigned version of the photos page that offers improved organization of photos in addition to greater user control for highlighting excellent or important photographs. When a friend visits the photos section on your profile, they will see a new layout of the pictures that’s organized by photos that you are tagged in, photos that you have shared over time and albums that you have created. Anyone visiting that page can switch between these three options rather than scrolling down the page to find photos. Prior to the new layout, Facebook displayed all albums at the top of the page and forced the user to scroll down the page to find tagged photos that haven’t been uploaded to any specific album. In addition to the new navigation, Facebook is allowing the owner of the photos to specifically highlight pictures that are more flattering than others. In order to increase the size of the photo within the layout, the user hovers over the picture with the mouse and clicks the star icon in the top right corner of the picture. This is the identical icon that’s used within the Facebook Timeline interface. It also makes sense that any pictures highlighted within Facebook Timeline will also be highlighted automatically on the photos page. The picture will increase in size significantly and become the same size as four regular photos placed together in a square. 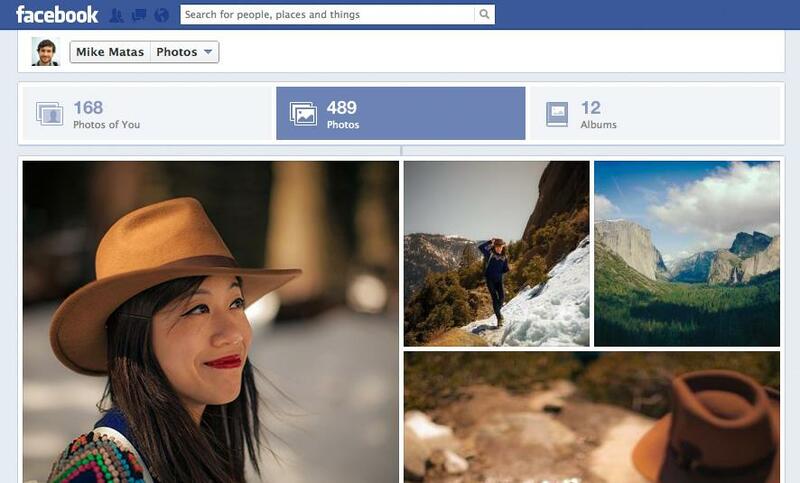 Ideally, this gives the user a certain level of control over photos that they like and dislike. As Venturebeat points out, this shift in design is likely due to the May 2012 acquisition of Lightbox. 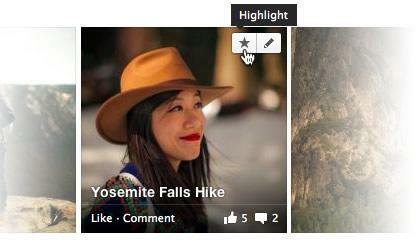 Designed as a photo sharing application, the layout of Lightbox is extremely similar to the new layout of Facebook photos. After the company was acquired by Facebook, the Lightbox photo service was shut down on June 15, 2012. According to Facebook product manager Emily Grewal, the new photo interface is rolling out slowly while Facebook continues to make improvements on the layout and add features. Following that, Facebook will start rolling out the new design globally to any profile that’s already upgraded to Facebook Timeline.